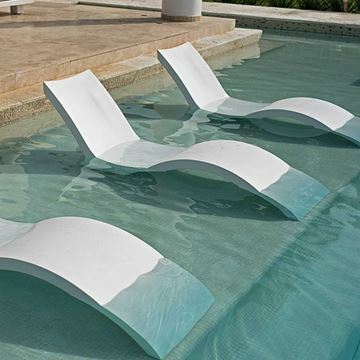 Plastic Resin Chaise Lounges are commercial grade pool furniture molded and styled from plastic resin. Our commercial chaise lounges are specifically labeled "commercial" to avoid confusion with retail models. 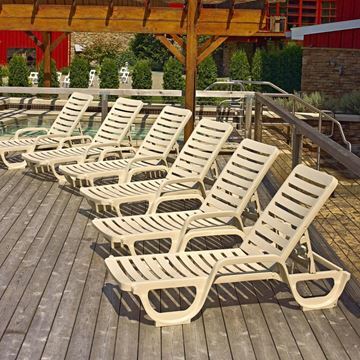 Pool furniture for Hotels, Motels, YMCA'S and public swimming pools require higher quality ratings to avoid liability litigations and unnecessary replacement cost that may occur when using residential products. Our plastic chaise lounges stack for storage and convenience. 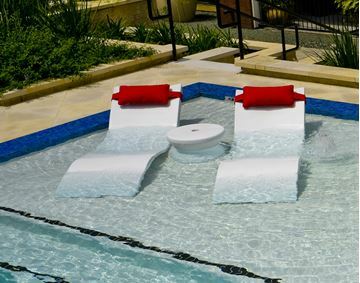 Hotel pool furniture such as the white Bahia Chaise lounge by Grosfillex is used worldwide at resorts and hotels and cruise ships. Sunset Duo Plastic Resin Sling Chaise Lounge with Console, 90 lbs. What are the benefits of a Plastic Resin Chaise Lounge? Plastic resin chaise lounges are one of the most durable chaise lounges for commercial use. They are ASTM tested and built to hold up to 300 lbs., while still maintaining a standard chaise lounge weight. Engineered to stay out in the direct sunlight, plastic resin is formulated with UV inhibitors that protect it from harmful exposure and fading caused by the sun’s rays. Also, 100% plastic resin chaise lounges without any metal hardware are recommended to set in the water on a pool ledge, such as the Bahia Grosfillex or the Eden Nardi. One of our best-selling commercial chaise lounge for its heavy-duty materials and affordable prices! Who is Plastic Resin the Best Option for? Hotels and Resorts, Country Clubs, Municipal pools, Waterparks, and Cruise ships furnish swimming pools with our furniture. 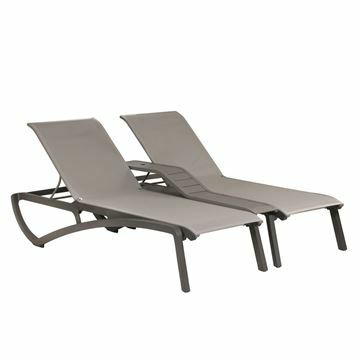 Check our plastic resin European styled Eden chaise lounge to dress up your pool deck. Grosfillex is the largest factory in the world producing our Bahia, Marina, Catalina, and the Nautical Lounges. 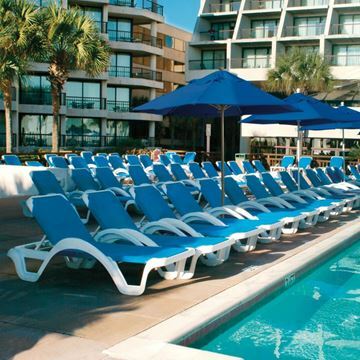 With so many quality plastic resin chaise lounges to choose from, any commercial establishment with a pool area would benefit from the investments of these long-lasting products. We are the leading supplier of commercial pool furniture in the United States and number one in customer service in the industry. When you call we are ready to listen to your needs!